I am rarely short of words or an imaginative title, at least when it comes to academic publishing, but what a more accurate way to describe the incredible trajectory of the international Journal of Interprofessional Care (JIC). From its humble beginnings in the early 1990s to its meteoric rise in the rankings, culminating to an impressive impact factor of 2.205 in 2016 under the editorship of Prof. Scott Reeves, the JIC has had a profound positive impact on interprofessional scholarship internationally. Of course, a Journal is only as strong as the people that support it, and the JIC has been truly privileged in this regard. 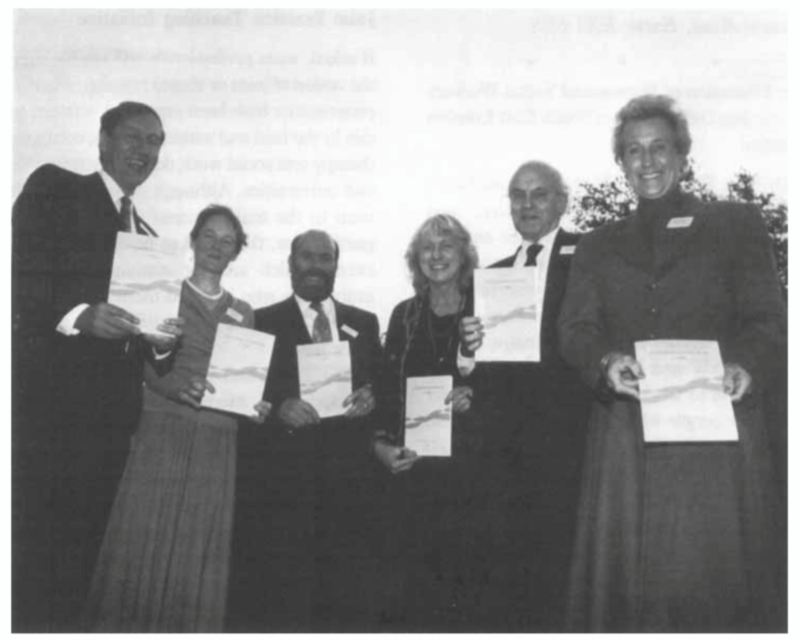 From the beginning it was nurtured by the most talented, visionary and dedicated interprofessional group (see image below) who believed strongly in the importance of the work they were doing. A major strength of the JIC, in my view, is that people from that first Editorial Board have stayed on supporting the Journal and its Editors through to the present day. That continuity of care for the Journal, for over 25 years, helped ensure the JIC stays firm on its course and commitment to promoting collaboration in education, practice and research worldwide. In so doing, the Journal has sought not only to strengthen scholarship, but also contribute to change in policy, practice and education encompassing health and social care. Importantly, the Journal has always been driven by values of inclusion and equality in relationships both in its editorial policies as well as practices, reflecting its passion for collaborative work in health and social care. In May 2018, following the sad and shocking loss of our Editor-in-Chief, the late Prof Scott Reeves, I admit I felt at a loss for some time. More than our Editor, Scott was a true leader, a skilled influencer and a good friend and colleague to so many around the world -his loss hit us hard. Had it not been for our amazing community of scholars the Journal may have been compromised, but it has been so reassuring to see true, interprofessional team spirit among our Editorial Board, Reviewers and Authors. For the past few months an Interim Editorial Panel – made up of interprofessional leaders as well as new talent: Kunal Patel, Hugh Barr, Madeline Schmitt, Barbara Brandt, Fiona Ross, Angus McFadyen, Linda Eyre and Merrick Zwarenstein – has made sure the Journal continued to operate as smoothly as possible until my recruitment as the new Editor-in-Chief effective from January 1st 2019. Stepping in as caretakers in the middle of the year and at such a difficult time for the Journal could not have been easy. Their work, I am sure many would agree, has been truly commendable; and our community is in great debt to them for so ably steering us through this period. I am personally very grateful for their ongoing support and for their commitment to staying active through this transition period. As I settle into my new role as Editor-in-Chief I am constantly impressed by the quality and volume of work taking place in the background, as well as how keenly our publisher’s Editorial Office at Taylor & Francis is supporting the Editorial Board, our Authors and Reviewers. The world of academic publishing is not without its challenges, and I am pleased to see how ethically Taylor & Francis is positioning themselves in the various debates. On the operational front, we have a range of initiatives and improvements on our current systems to look forward to, for our Authors as well as Reviewers. I am especially excited about initiatives around strengthening the ways we acknowledge, celebrate and reward our amazing community of Reviewers – more on this to follow in a future post. This year, 2019, promises to be a very exciting one for the JIC. In addition to our usual issues, full of exceptional international scholarship, we have three fascinating themed and special issues in the pipeline tackling important interprofessional topics and developments from across the globe. I am personally looking forward to our themed issue on the interprofessional workforce, which is both topical and long overdue. We also have a special issue in collaboration with the National Center for Interprofessional Practice and Education (NEXUS), which is very timely and reveals the strides our North American colleagues have been making these past years on interprofessional matters. The JIC has always supported new initiatives, colleagues and communities and so we are very much anticipating our forthcoming themed issue from South Africa in collaboration with the Africa Interprofessional Education Network (AfrIPEN). I am confident 2019 will be another great year for our community and for the JIC, with much research and news to promote and disseminate on high-quality innovations and developments on interprofessional education and practice. I look forward to deepening our collaboration with all of our Readers and Authors internationally, and ensuring our community, field and Journal continues to go from strength to strength.